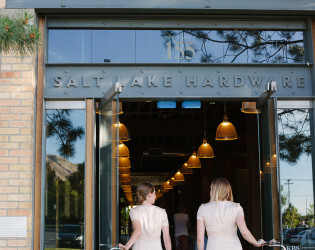 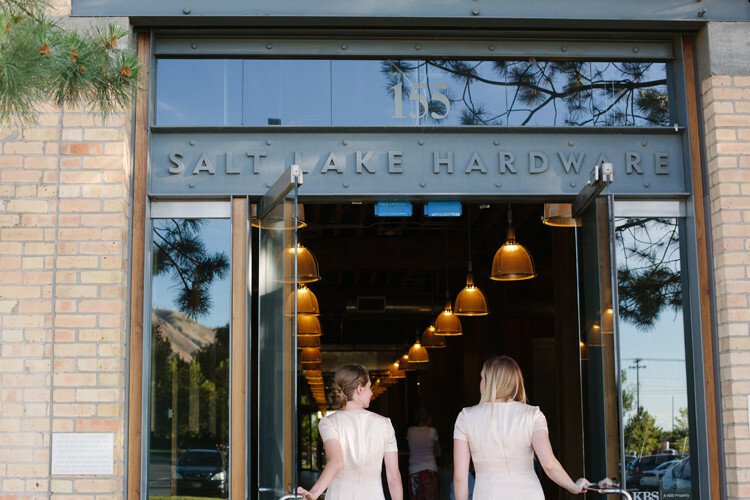 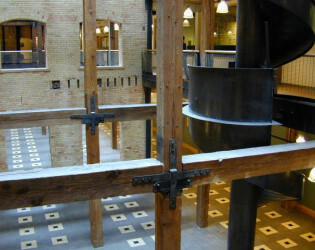 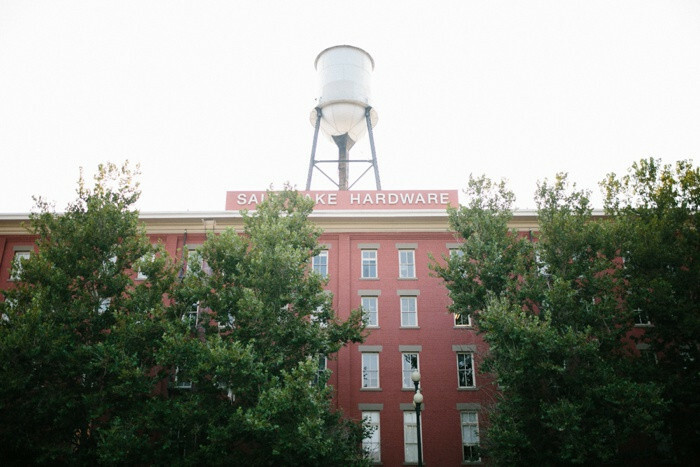 The Salt Lake Hardware Building was constructed in 1909 as a response to the development of the great transcontinental railroads. A striking, five-story, red painted brick, rectangular warehouse with a flat roof, it comprised a combined floor space of five acres. 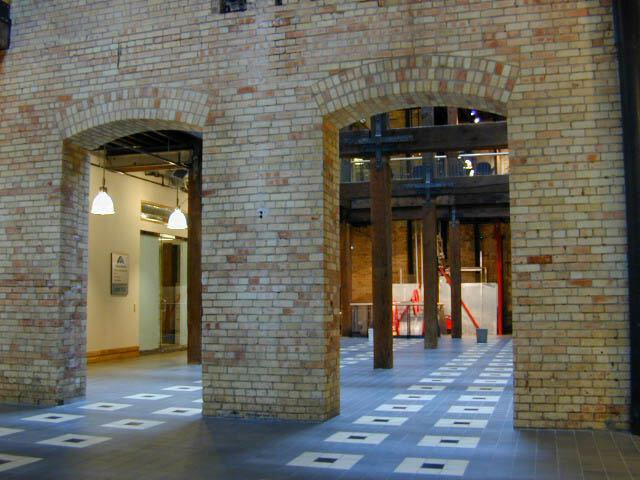 This Victorian Eclectic style building was constructed with over 2 million bricks! 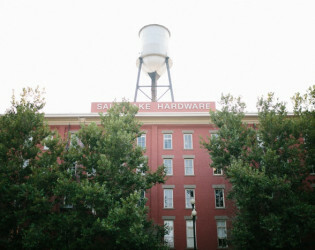 The Salt Lake Hardware Building was constructed in 1909 as a response to the development of the great transcontinental railroads. 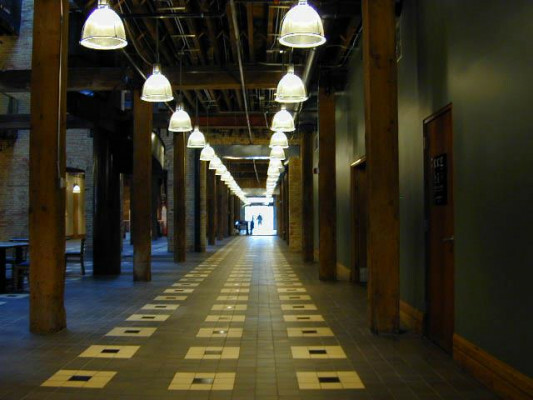 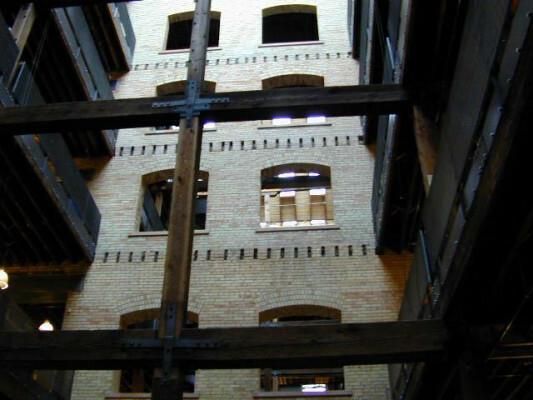 At the time, it was the largest warehouse building west of Chicago and possibly the largest in America. 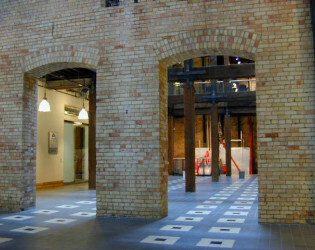 A striking, five-story, red painted brick, rectangular warehouse with a flat roof, it comprised a combined floor space of five acres. 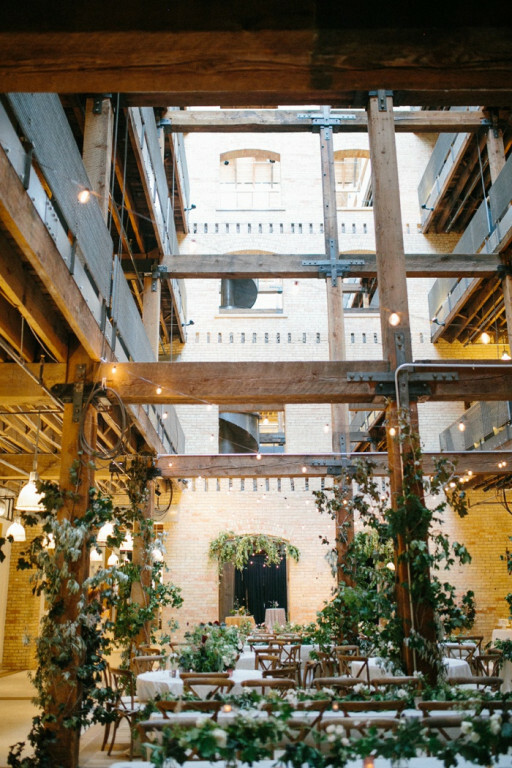 This Victorian Eclectic style building was constructed with over 2 million bricks! 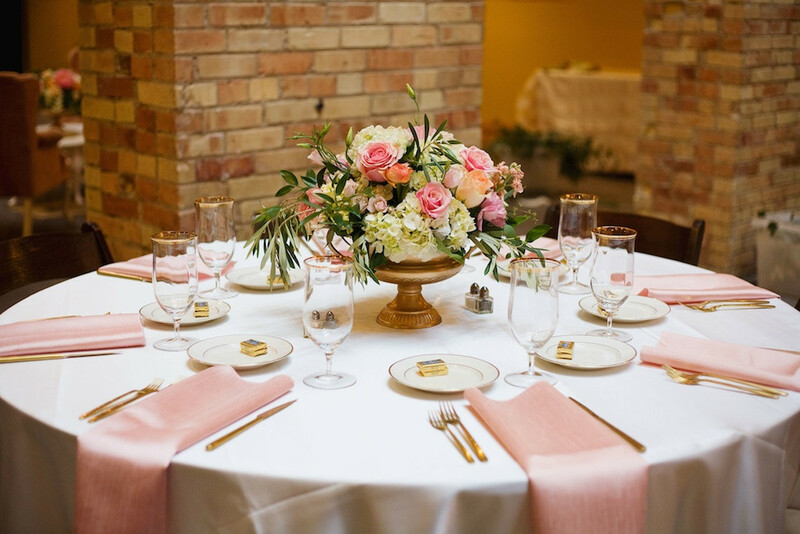 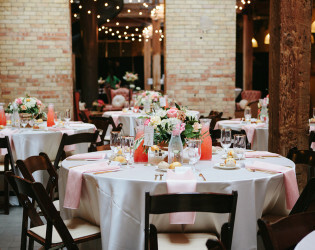 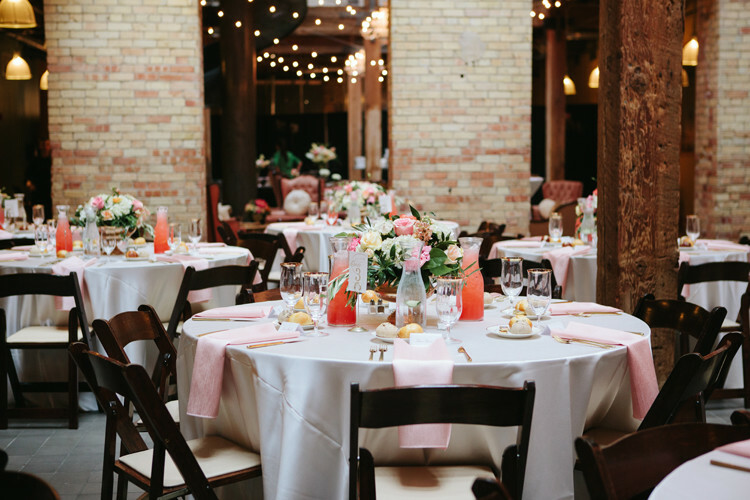 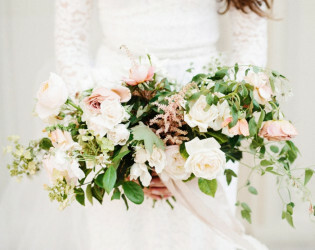 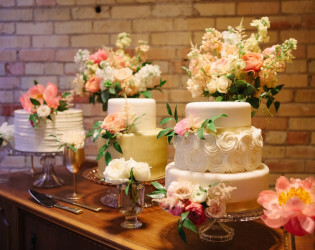 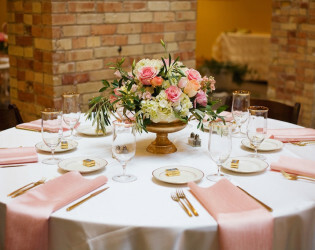 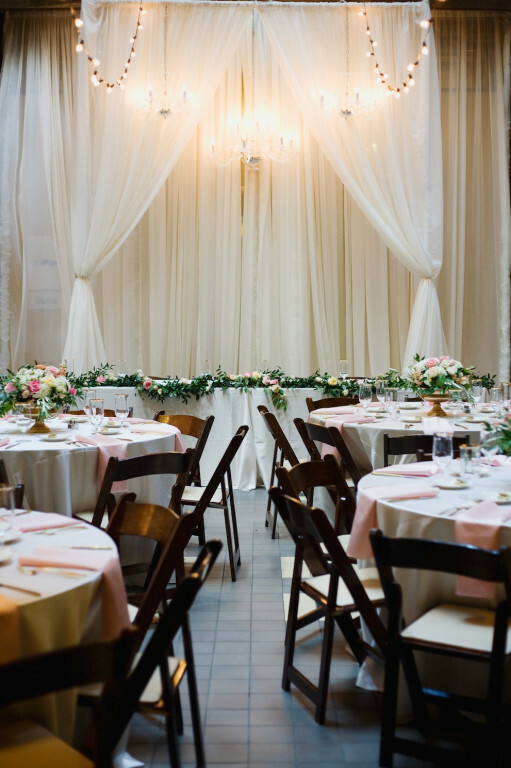 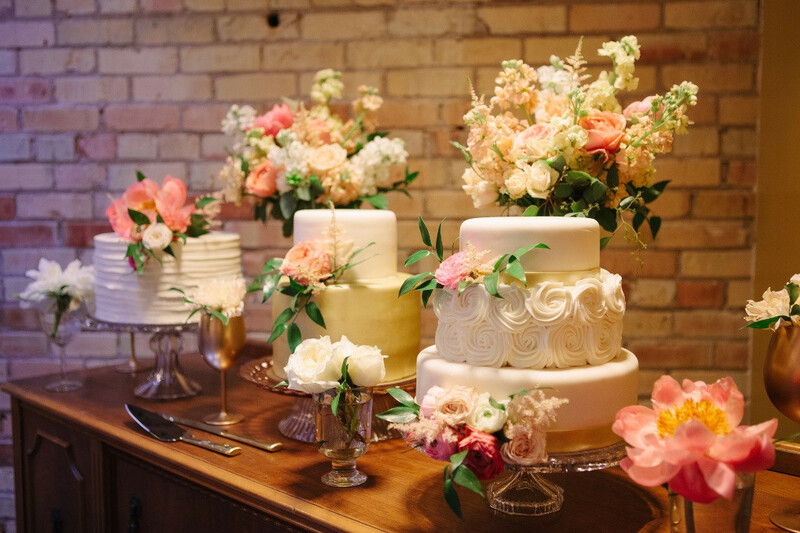 All rental items: tables, chairs, linens, lighting and pipe/drape must be rented via our venue and will be billed in addition to the venue rental fee. 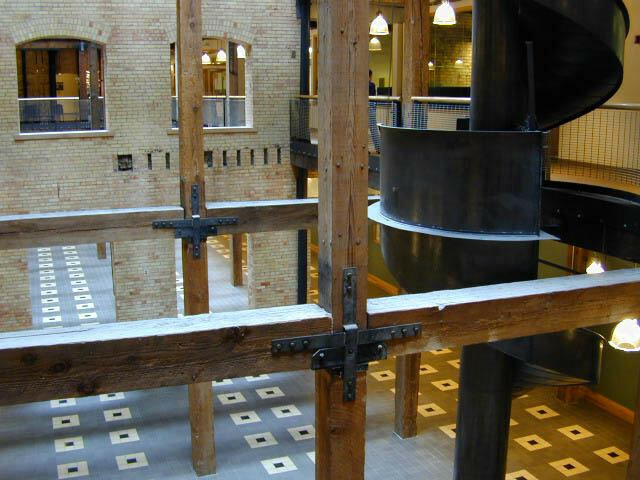 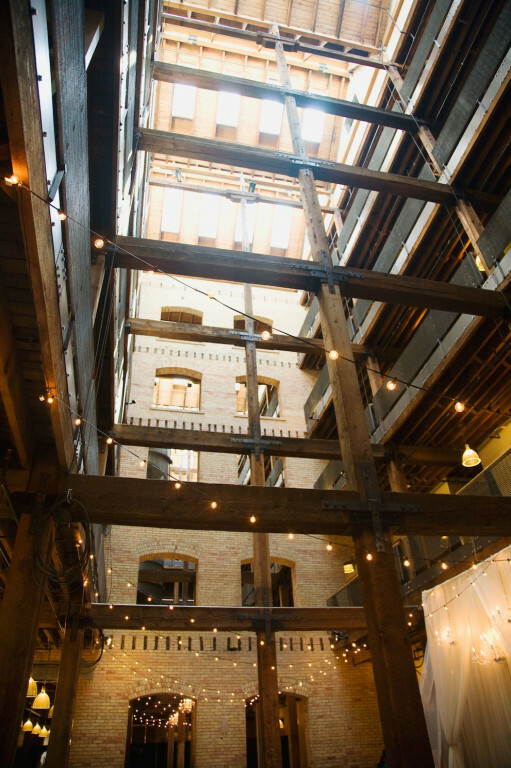 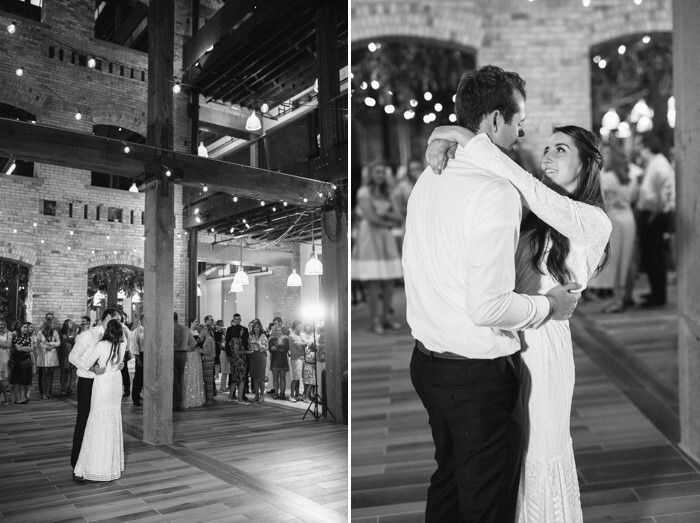 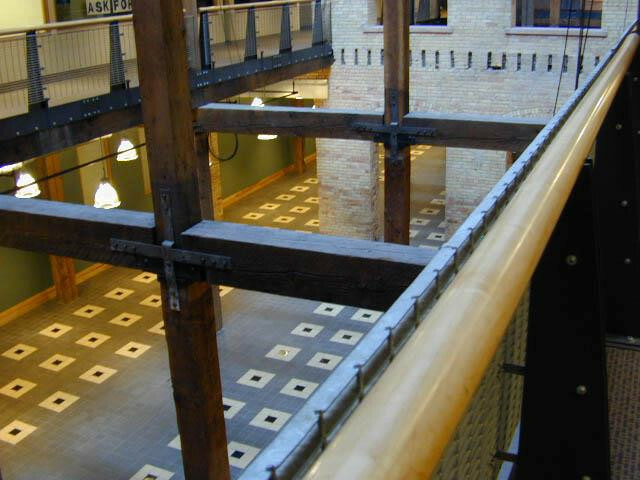 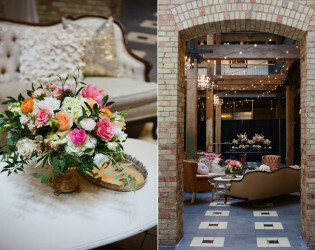 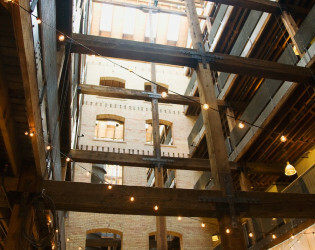 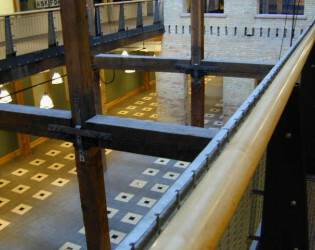 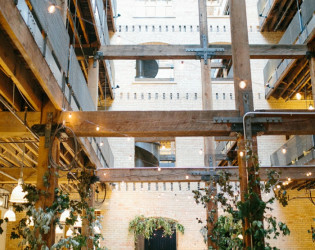 Exposed brick and thick wooden beams frame a stunning five-story sky-lit atrium. 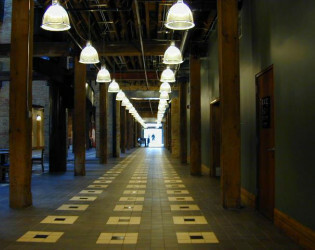 At the time, it was the largest warehouse building west of Chicago and possibly the largest in America. 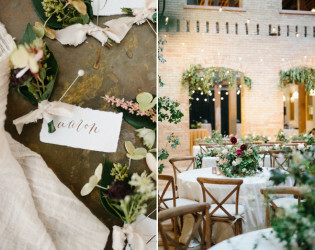 Calligraphy: Wild Field Paper Co. 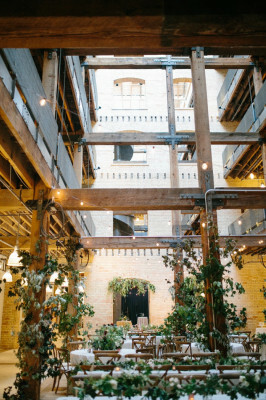 This Victorian Eclectic style building was constructed with over 2 million bricks! 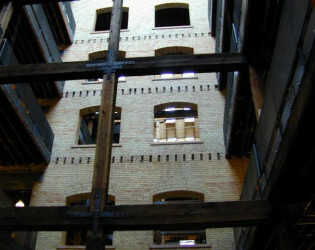 A striking, five-story, red painted brick, rectangular warehouse with a flat roof, it comprised a combined floor space of five acres. 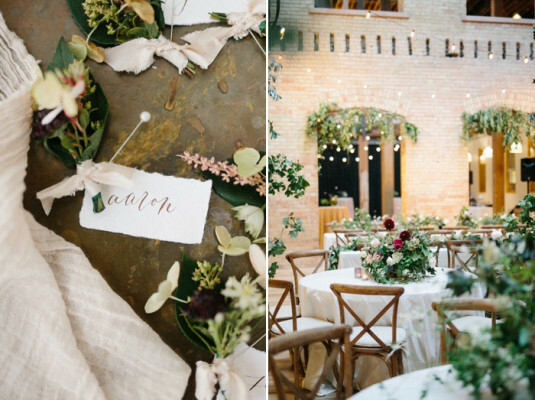 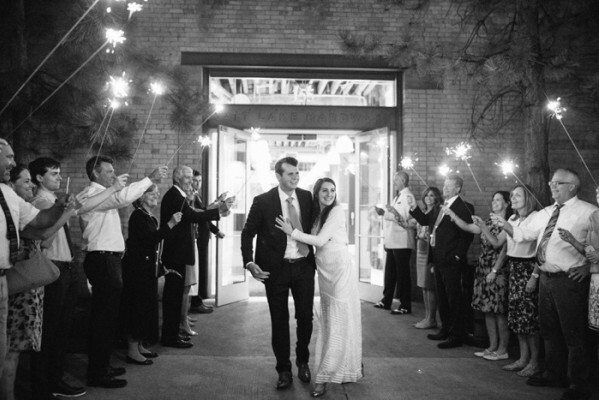 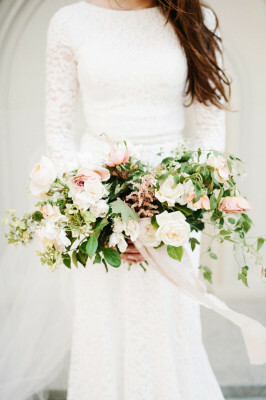 Dress up the space with draping and lighting. Spacious area for vintage lounge sets. 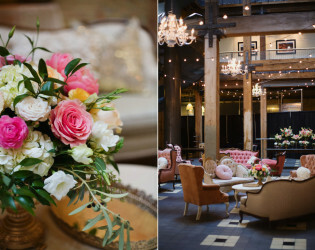 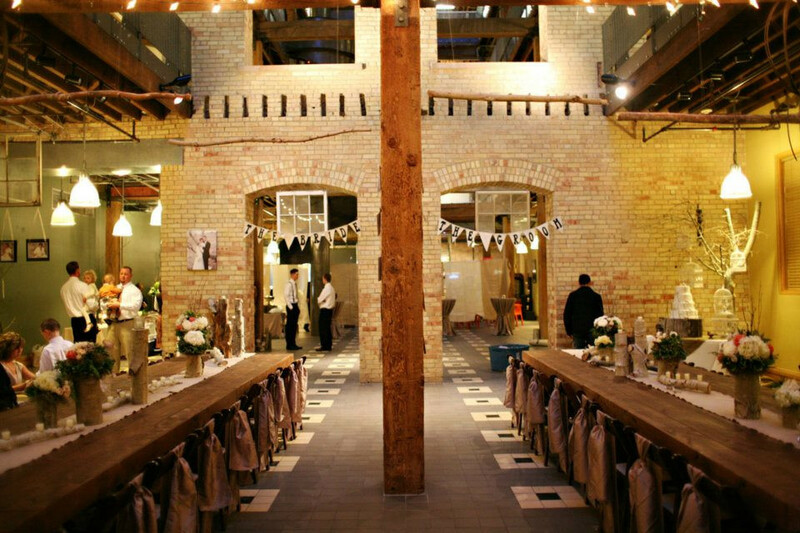 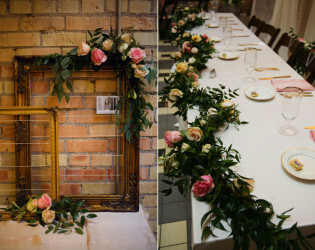 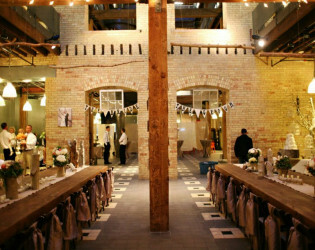 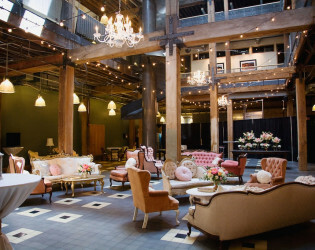 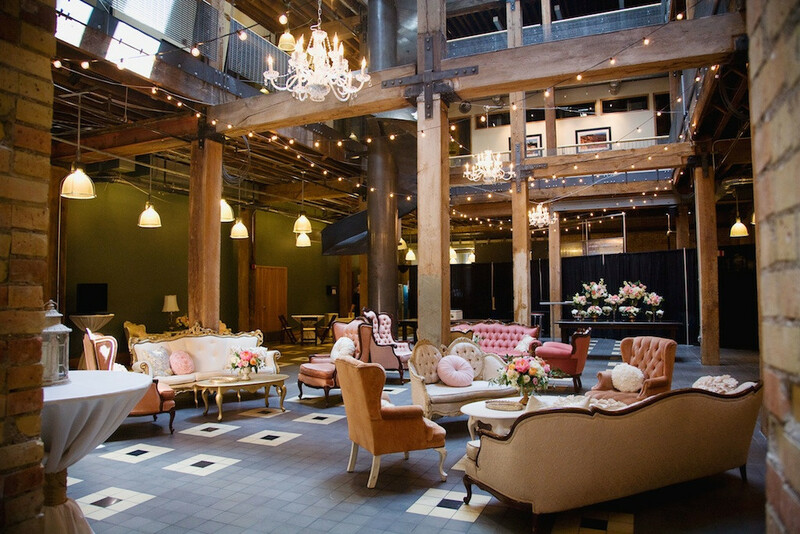 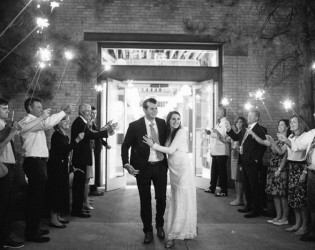 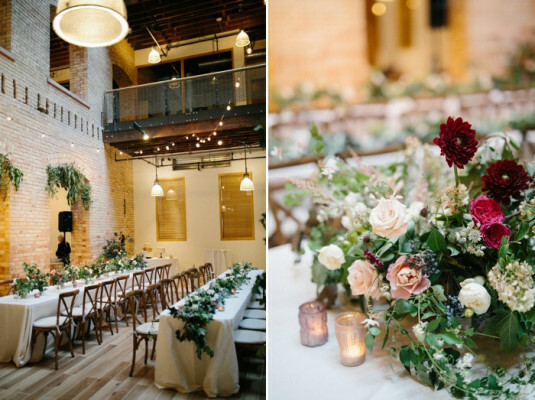 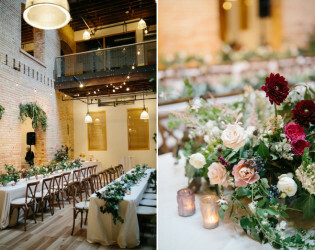 Converted warehouse space for private events. 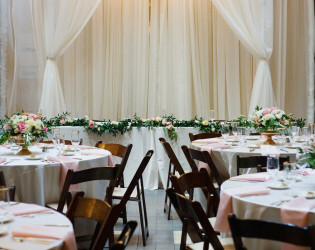 Max capacity of 200 guests. 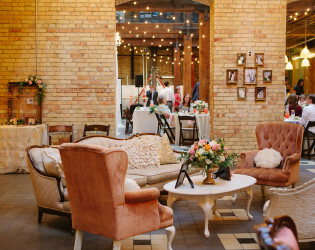 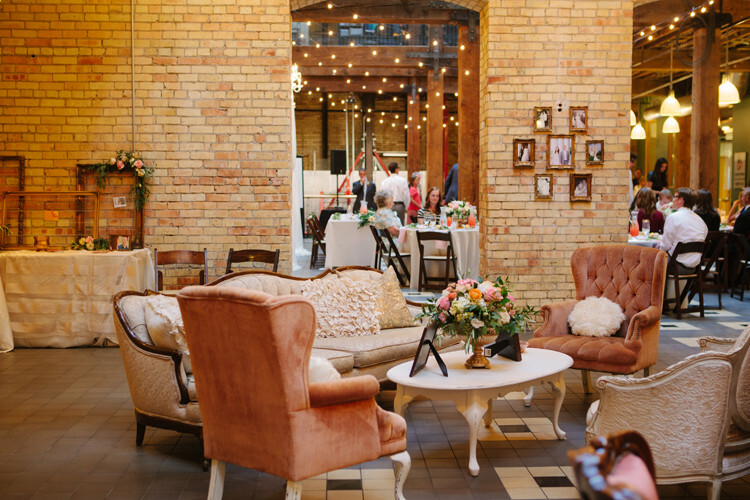 Exposed brick walls with arched doorways. 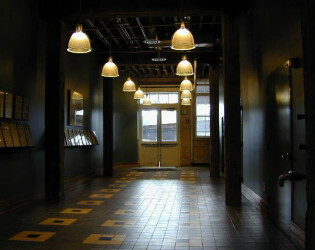 Industrial lighting lining up the hallway.